Continued from day 7. Continued on day 9. 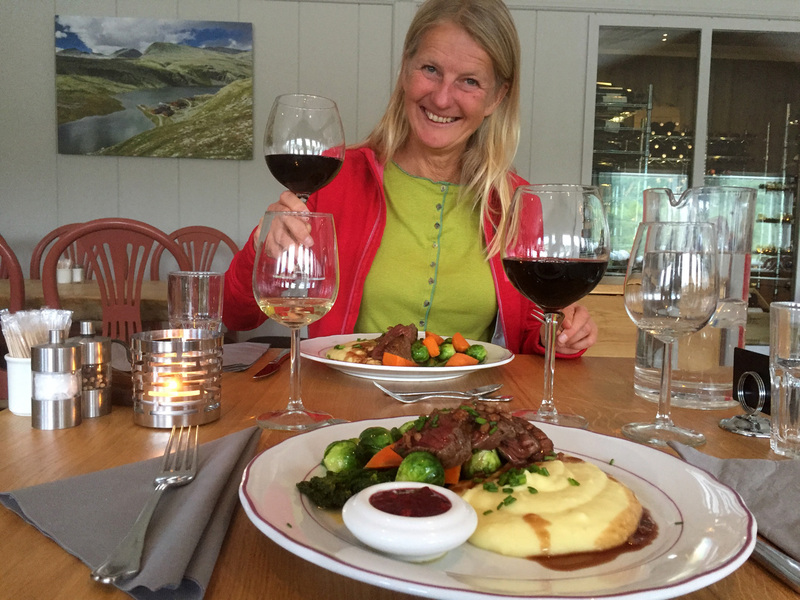 Friday, and our last full day at Mysusæter and Rondane Høyfjellshotell. 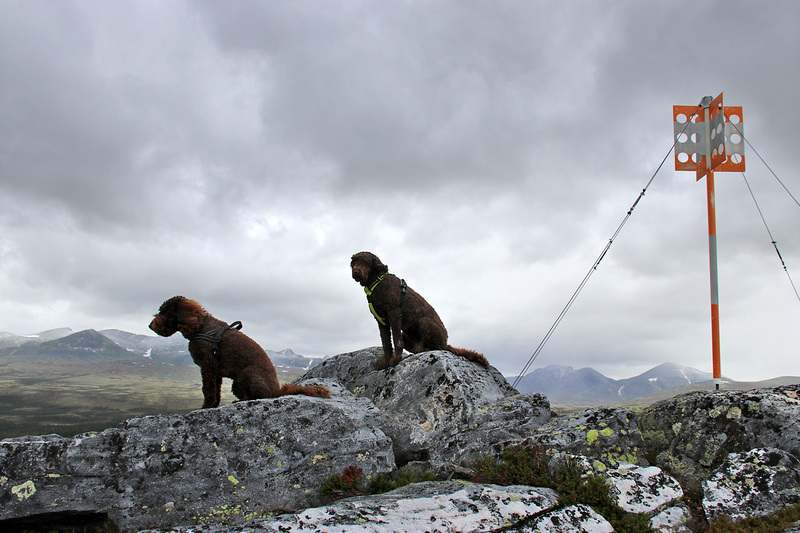 I had already visited the tops surrounding Mysusæter (Ranglarhøe, Kåsen and Vålåsjøberget) and we had been to Veslesmeden too. 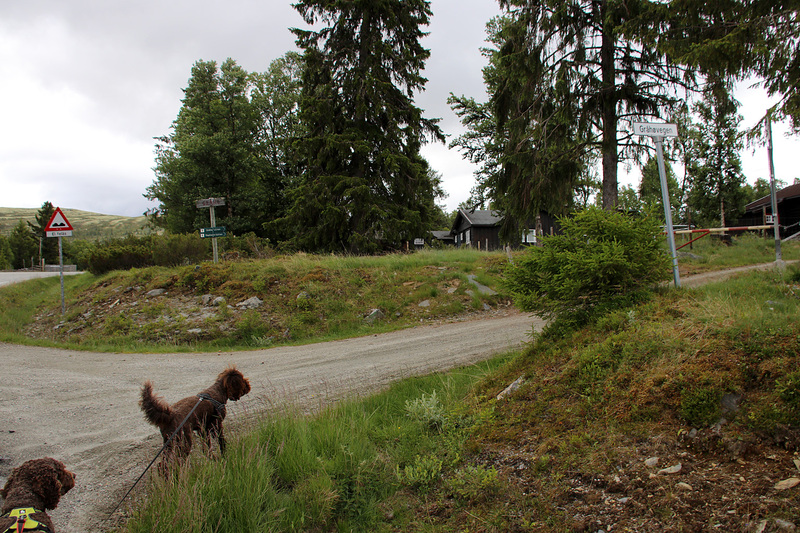 I drove down to Otta and found a toll road (NOK 40,-) up Kleivrudåsen. 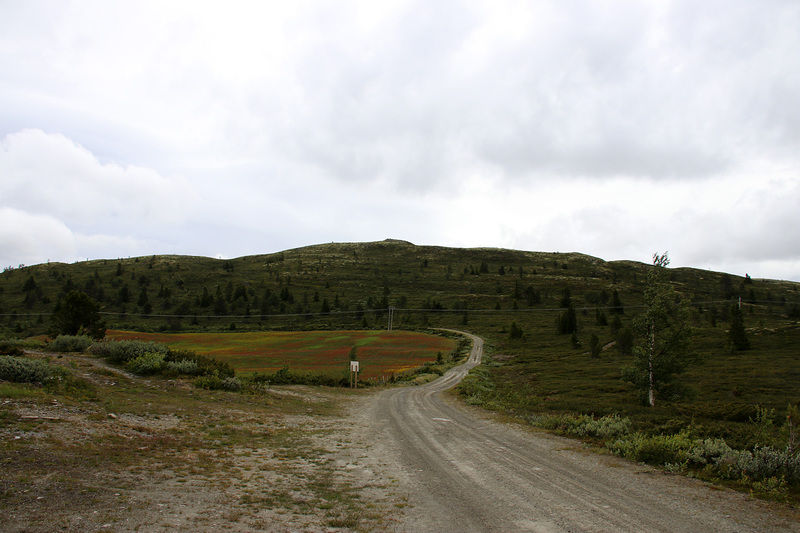 The road seemed to never end, but 11,5km after leaving RV15, I reached my starting point for Haldorpiggen. 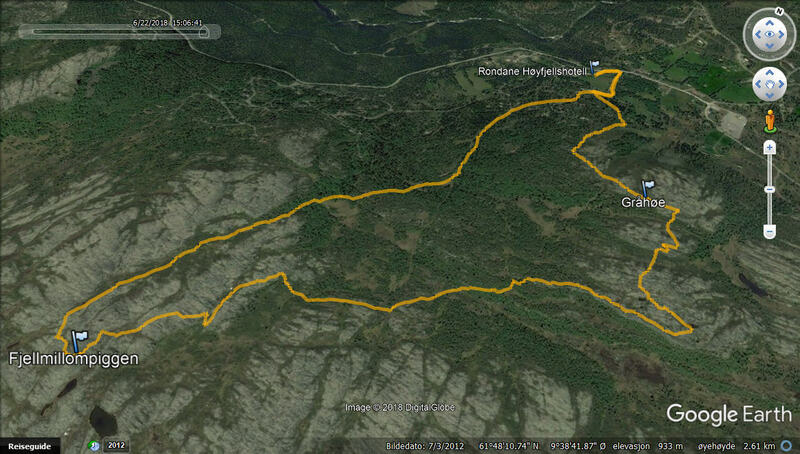 I could have driven yet another 0,6km, but I wasn’t looking for the shortest hike possible. 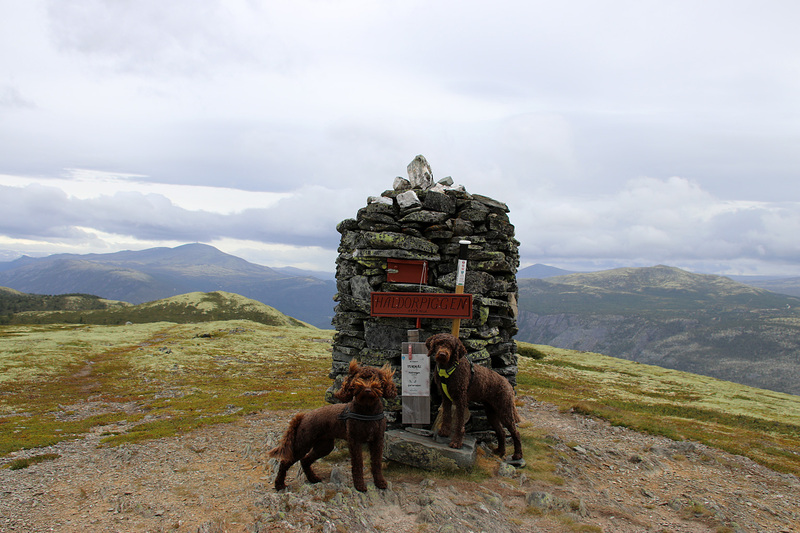 I had brought Karma and Turte (Karma’s sister – that we were looking after for a week) and found the Haldorpiggen signpost. There was a path going up to the top, which was only 1,2km away. Not much of a hike, but it was a new top, and getting closer to my annual goal of 100 new tops. I was really on a roll and as things looked now, I would reach that goal before the summer was over. We took a parallel route down, mixed on and off-trail. When I got to Ruste, private roads prevented me from getting closer to the mountain, and I decided to give up on the idea. 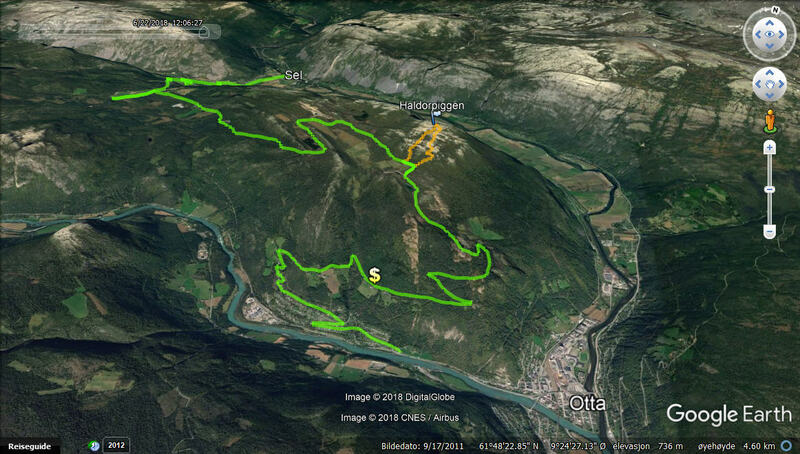 But, I didn’t give up the notion of another new top, so I continued on the mountain road, eventually got down to Sel and followed the E6 back to Otta. Here, I found the road parallel to RV15, but on the south side of the river and headed for Veggem and Veggemskampen. 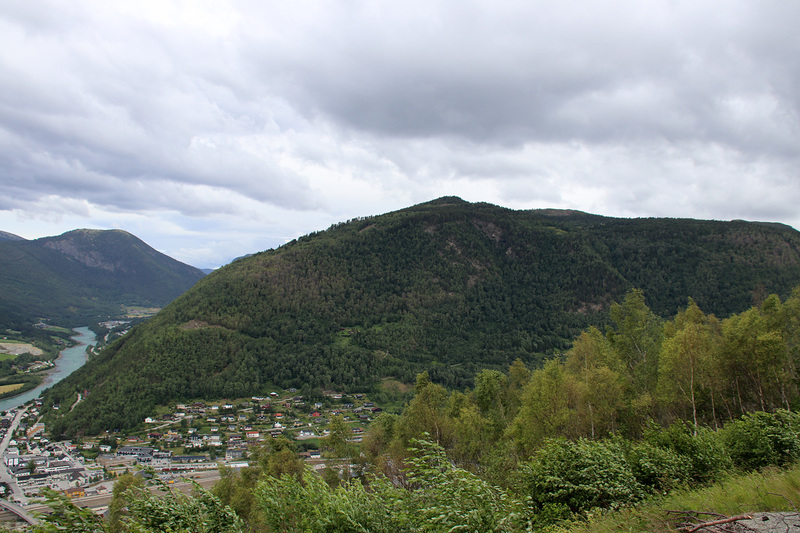 A toll road would take me all the way to Myromsætre, and from here, the hike up the mountain shouldn’t take long. But it was a very windy day, and after paying the toll fee on Veggumsvegen, I was worried that I could run into a fallen tree. 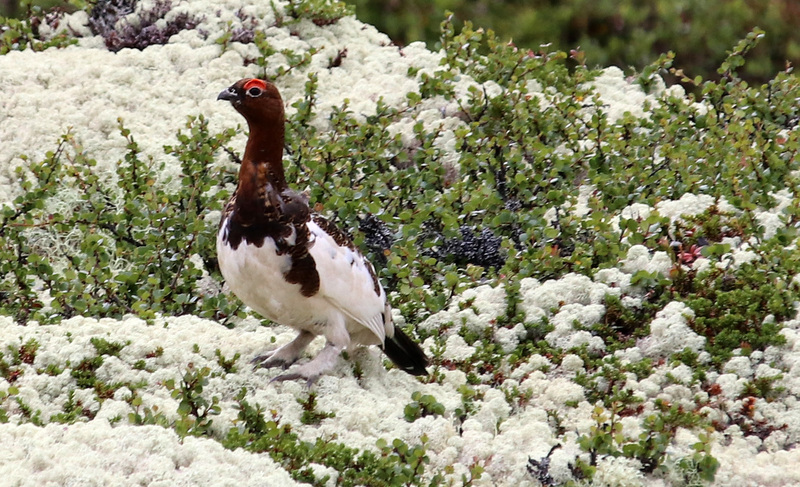 I passed a lot of debris from bush on the road down to to Sel, and … well, I tend to worry about details. 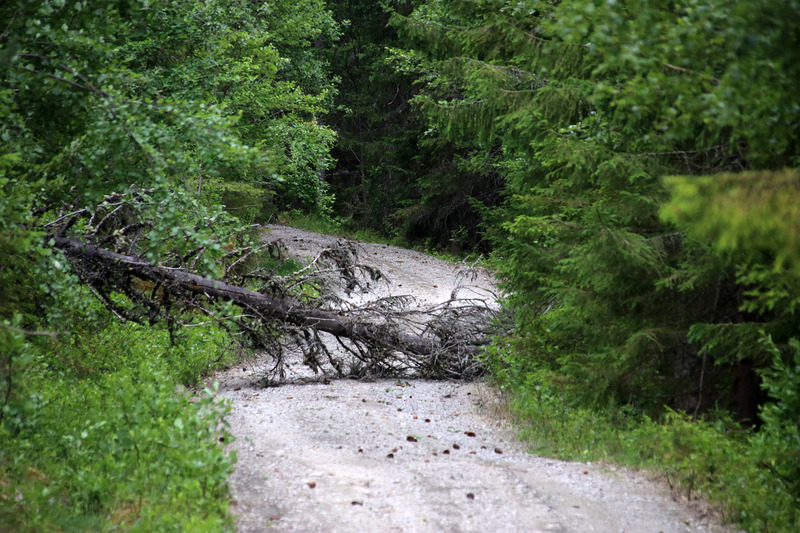 Worse than running into a fallen tree on the way up, would be to run into a fallen tree on the way down. That would take considerable time. Fortunately, I ran into a fallen tree on my way UP and turned around immediately and return to Mysusæter. It was still early in the day when I returned to Mysusæter and I told Anne that I would do a quick hike up to Fjellmillompiggen. It wasn’t on my A-list of peaks that count as NEW, but it still looked like a nice hike. And the dogs deserved a good walk after hours on the road. 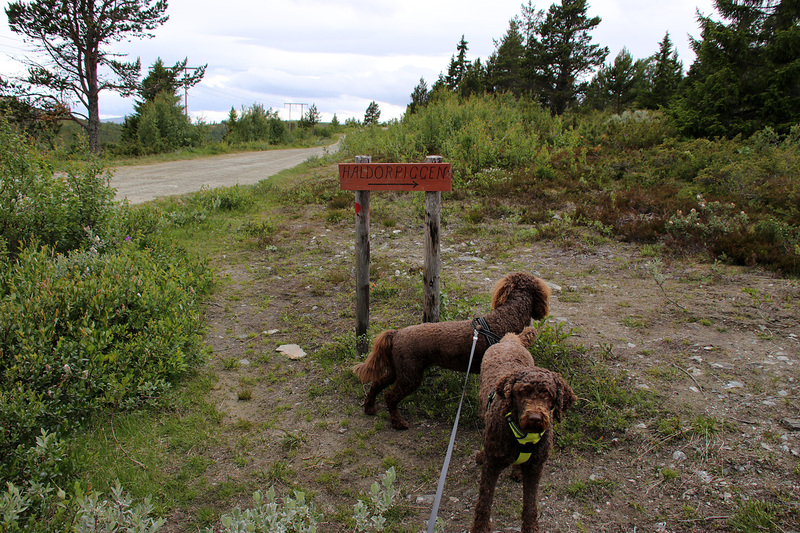 We walked from the hotel and followed the path towards Raphamn/Gråhø. We followed a well worn path up to a trig. 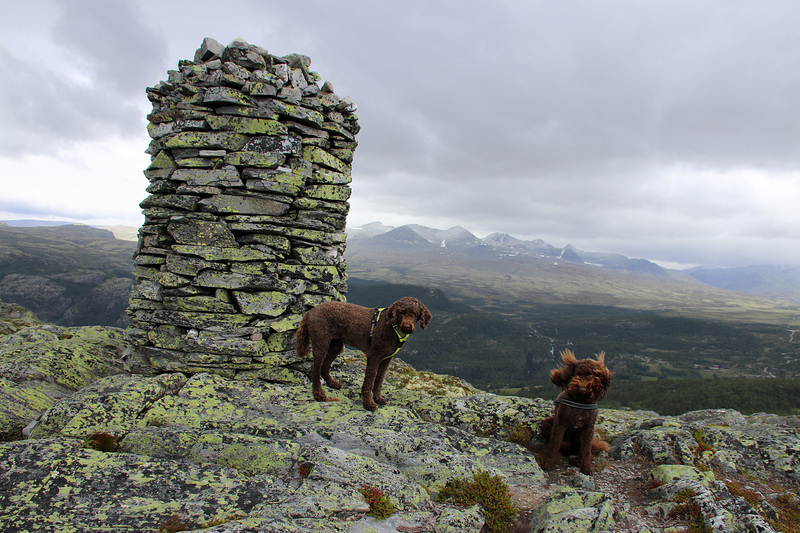 point (1023m) and continued up to Gråhøe (1050m). From here, we continued southwest and when I got Fjellmillompiggen in view, I realized that this would be a MUCH longer hike than I had anticipated. But, I didn’t want to turn around now. We followed a ridge down to a valley and proceeded off-trail up the mountain. Eventually, we reached the top, and I decided NOT to return the same way. From the top, I followed a path northbound and this path led us back to the starting point, close to the hotel. 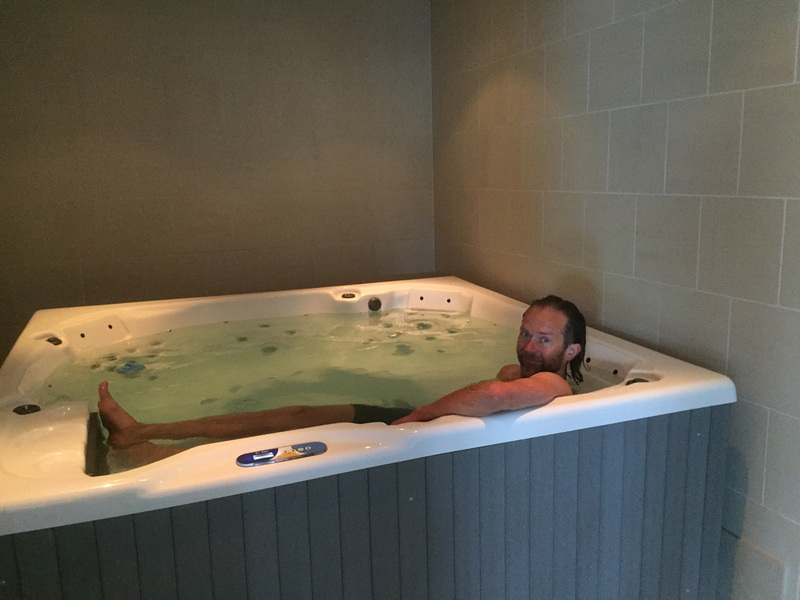 With respect to the dogs, my conscience was now quite good, and I looked forward to our last dinner at the hotel. 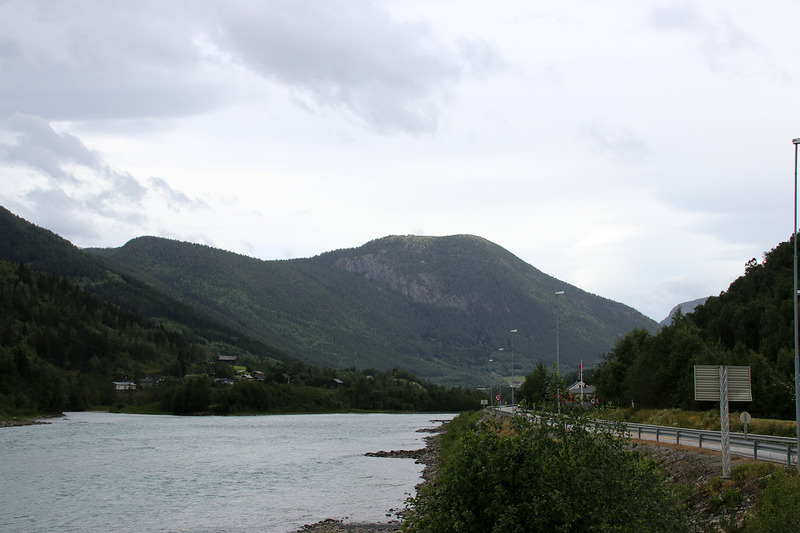 Tomorrow, we would go back to western Norway, and our vacation together would be over. 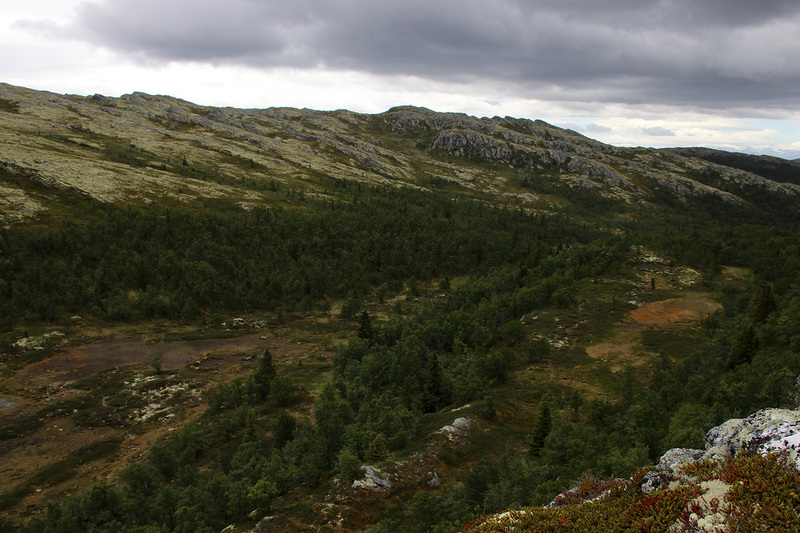 Anne could report from a nice bike trip and hike up Kåsen and we concluded that we had really become acquainted with the Mysusæter area.